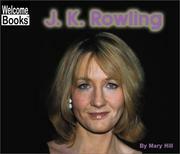 Provides a brief biography of author and storyteller Joanne Kathleen Rowling. Discusses the life, novels, and writing habits of J.K. Rowling, author of the popular "Harry Potter" novels. Photographs and simple text introduce J.K. Rowling, author of the best-selling Harry Potter novels. Introduces the life and work of English writer J. K. Rowling, whose Harry Potter books have made her one of the most famous authors in the world. 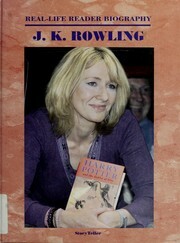 An easy-to-read biography of J. K. Rowling, the English author of the popular Harry Potter series of children's books.